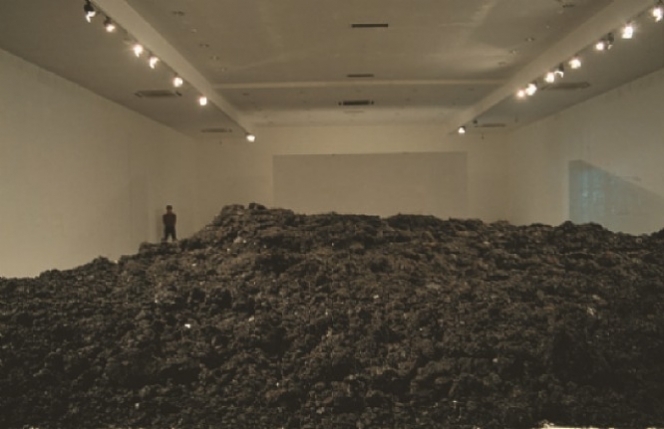 “Cola Project”-a huge amount of Coca Cola was boiled down to residue by the artist- was indeed a subtle physical transformation. After boiling the first ton of Cola, He Xiangyu tidily stacked all those emptied plastic Cola bottles in a special glass showcase, along with the plastic exhaust pipes. The artwork became a form of social production, and as a plain resource, Coca-Cola was reverted to its material origin in this new production cycle. Just like any other “ production”. It pulled our vision from the “landscaped” world back to a real field: production. Artist significance of “ Cola Project” lies in the verification of his experience in and ruminations of “ landscaped” reality. He Xiangyu, born in Dandong in 1986, lives and works in Beijing.